Our new ELITE Series 8 Channel Pentabrid DVR gives you plenty of options since it works with five different technologies! 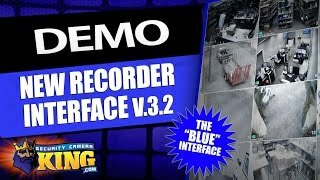 If you’ve been looking for a DVR that works with older Analog cameras, this is a great option since it works with HD-CVI, TVI, AHD and Analog cameras. 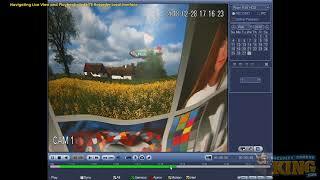 You can use HD-CVI, HD-TVI and AHD cameras up to 5MP and Analog to 960H but this recorder is really a 1080p recorder. You can record 5M-N at 10fps on the first 2 channels and on the remaining channels you can record 4M-N/1080P at 15fps, and 1080N, 1MP, 960H at 30fps. This recorder supports 8 HD cameras and you can also connect up to 4 IP Network cameras up to 6MP @48Mbps for a total of 12 cameras or use all 12 channels with IP cameras. With four different choices, using the latest video compression of H.265+ will reduce the bit rate usage and storage requirements by up to 90% over the H.264 compression. With a dual core processor, an embedded Linux Operating System and a GUI Interface that is very easy to use, you’ll be on your way to setting up an advanced, reliable security system for your home or business. 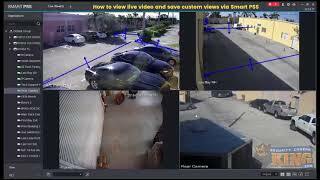 Easily schedule hours, days and set IVS (Intelligent Video System) features like abandoned or missing objects that will trigger events like Recording, Email, Video Push and other forms of notifications. You have two options of HDMI and VGA so you can choose the display input for your monitor. 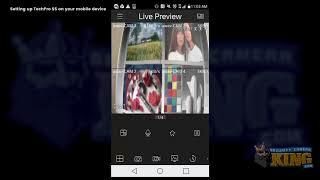 You can view live or recorded footage and you can even view your cameras remotely on a PC, Mac or smart device from anywhere in the world that you have an internet connection. This DVR has space for 1 hard drive up to 8TB in size and you can use the dropdown menu above to add one from 1-8TB to your order now. Once you do that, we can install, configure and test the hard drive for you before sending your order to you! 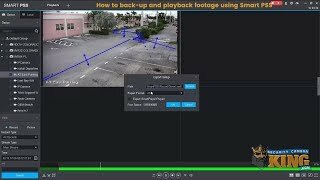 If you ever have a need to share footage with the police, insurance companies, etc., you can easily plug a flash drive into one of the two USB ports so you can copy just the footage you need to share to help provide proof for authorities or for a claim. You won’t have to worry about hidden fees and additional costs since we include a 1 year warranty, FREE US based tech support and FREE remote monitoring apps.